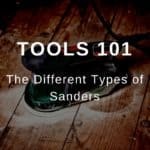 This post will show you some great woodworking items that sell well online. Several of these can be found on one of the best places to sell handmade products, Etsy. One of the best things about hobbies is that they are an awesome creative outlet for people. They allow us to do things that we don’t consider “work” and have fun. But there is a way to take some hobbies a step further. You could turn your hobby into a business. I like to mountain bike and build things all the time. Even home improvement projects are fun for me. But these are not a business and they certainly don’t make me much money. The thing is though, some people have figured out a way to make money selling stuff that they make from their hobbies. Just take a glance at Etsy and you will see all kinds of stores selling woodworking items. And a lot of it is legit too. People are actually making a living doing stuff like this. Now obviously the percentage of people making A LOT of money is quite small, but that shouldn’t deter you from being interested. You could do this as a side hobby, or just to have some skin in the game. Who knows, you may find a side of yourself that you didn’t know existed. You might be really good at Etsy, or running a Shopify store, etc. You might start a real business. If you are interested in selling something you make online then you should check out this list I’ve curated. It is about all kinds of projects you can make to sell online. I’ve sold some of these items myself and it is quite fun to make a few sales. It’s exciting that someone would actually pay money for something that you created. It makes you want to recreate that feeling over and over. 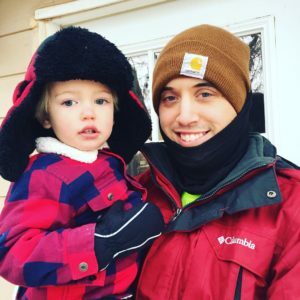 If you want to build projects and not only sell them, but display them on your own website, then check out my page on how to start a DIY blog. 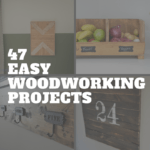 These projects are mostly beginner friendly, and you don’t have to know everything about woodworking to get started. They are curated from a number of different sources, but mostly Etsy because it is the most popular place for handmade products. Take a look at the items in this list and pick some out you want to try. 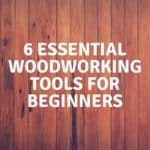 If you are familiar with woodworking then go ahead and get started. If you need some help getting started then check out my page for beginners. I wanted to include this one first because I actually made these for a while on Etsy. They sold too, but I quit making them because I decided to focus on other things. 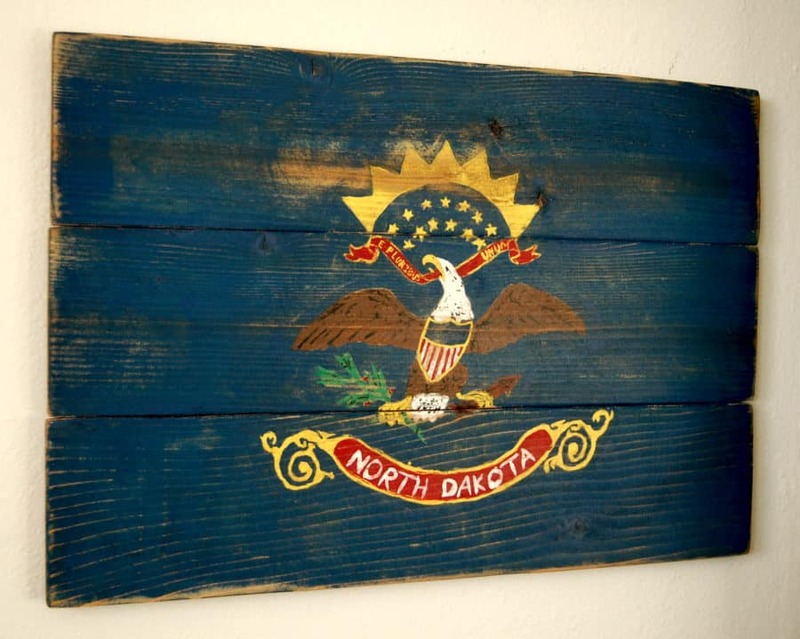 Check out this post to see how to make one of these flags. Looking back, I wonder if I shouldn’t have stopped making them after all. It seemed there was some opportunity there. Here is one of my actual products that I had for sale. 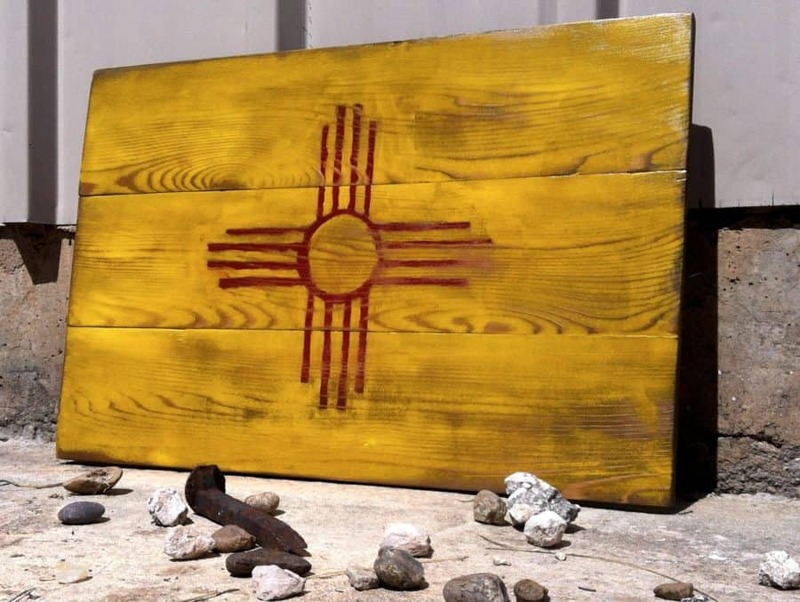 I sold several of these New Mexico flags. I also had other states like Texas and Colorado. Some of the more intricate designs were difficult to produce so I raised the prices on those. I made them on a special order basis, meaning I didn’t make it till after someone had made a purchase. It took me about a week to produce, and no one seemed to mind. 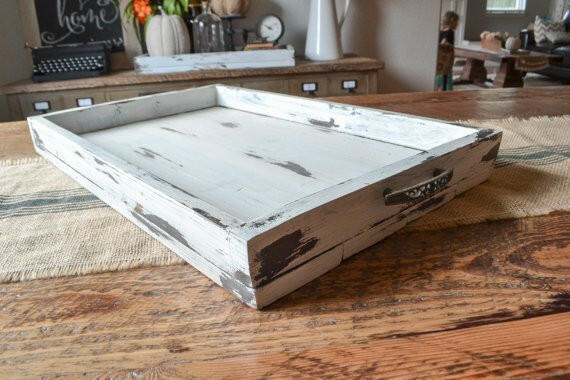 This distressed look is popular across Etsy. I used cedar boards and simple acrylic paint. Then I sanded it down a little to distress it, rubbed a darker stain over it, and applied a clear finish later. Regarding the second factor, it is intensive work making a painting like that, so don’t skimp on your price. 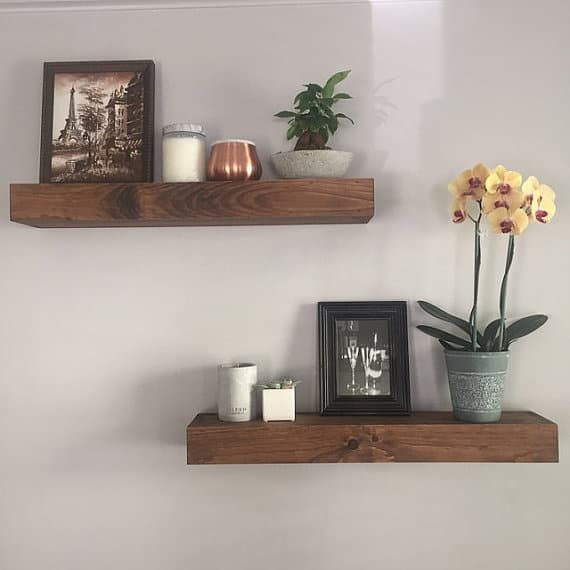 I also made some shelves when I was selling on Etsy. They were made out of some reclaimed wood that I got my hands on. It eventually ran out, however, so I had to quit making those as well. It was pretty easy to make because I didn’t have to do much to the boards except smooth some rough edges and clean it up nice. The brackets I made separately and sold separately as well. I have a post on how to make those industrial pipe shelf brackets here. Most people like to have an entryway organizer. This usually consists of some coat hooks, a few shelves, and some other storage features that help organize keys, letters, and other items. If you choose to go this route then try and find a way you can put a special spin on it. They are relatively easy to make, so it would be a great way to get started. We already covered the painted flags, but I think it is worthwhile to mention other wall decor opportunities. There are many. Wall decor is a popular item for buyers on Etsy. And you can go down so many different paths with this category. A couple ideas off the top of my head are: wooden arrow/chevrons, any type of boards with painted designs/names, wooden shapes, etc. 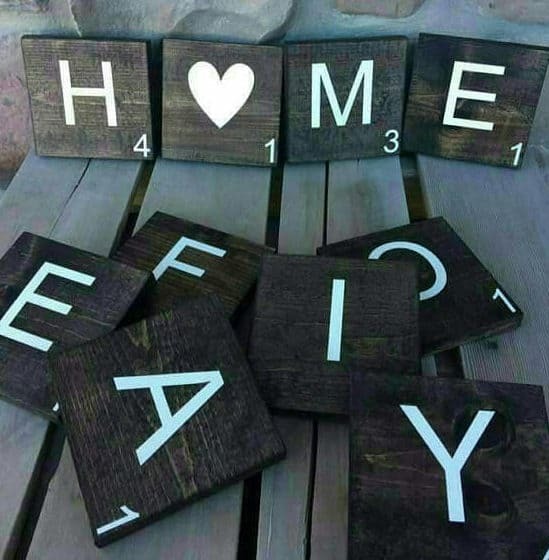 These large scrabble tiles go on the wall and you can use them to spell out names similar to a scrabble board. Now I wouldn’t condone copying that idea, but it should get your mind churning around a little bit. This is a specific idea, but it is a good one nonetheless. The reason I like this idea is because it is very simple and good for a beginner. And you can combine it with selling other crafts, especially if you happen to make candles. 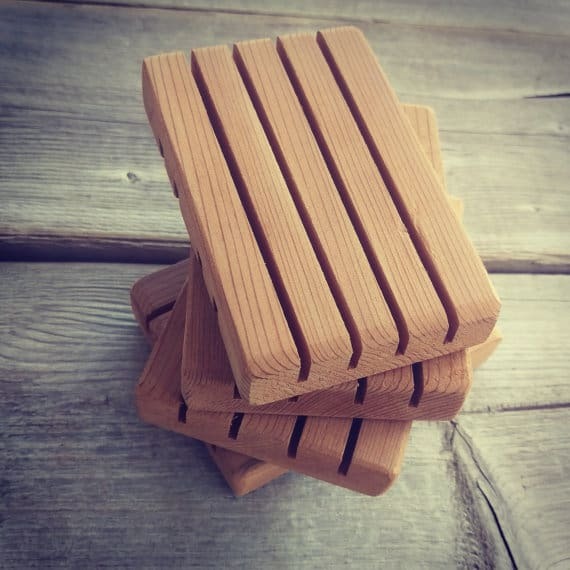 This product consists of one block of wood nicely finished. And then they painted on an attractive and modern design. This obviously required a little skill, but it is not too advanced that someone couldn’t do it if they wanted to. By wooden clock I mean a neat wood design with a mechanical clock mechanism. 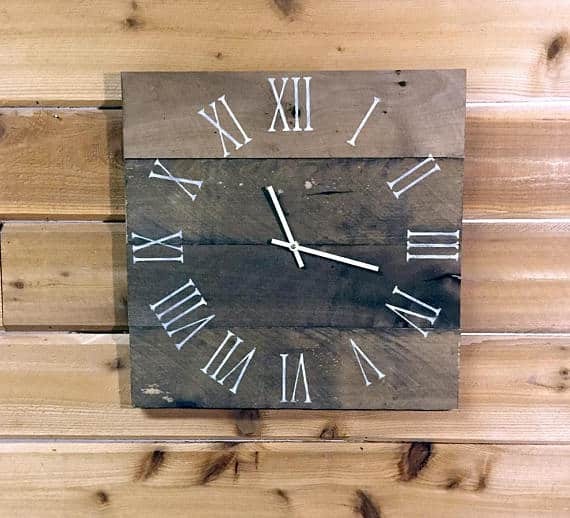 There are tutorials out there to actually make the clock mechanism from wood, but that is definitely not what I mean here. You should be able to find clock mechanisms on Amazon or some specialty stores. Definitely online somewhere. 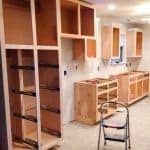 You can paint any type of number scheme you would like along with many combinations of wood behind it. Use your creativity and make something interesting. 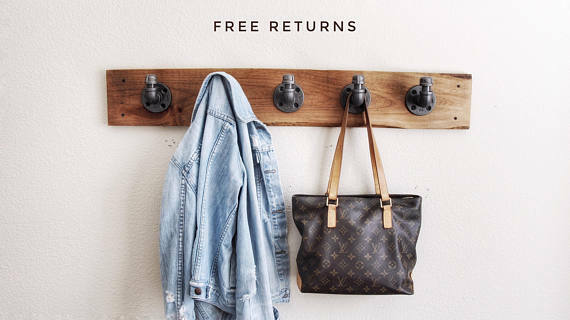 A coat rack goes along with some of the other categories I have already mentioned, but it is more specific. They used a good looking piece of wood to make this attractive. There is not reason that you can’t do the same. 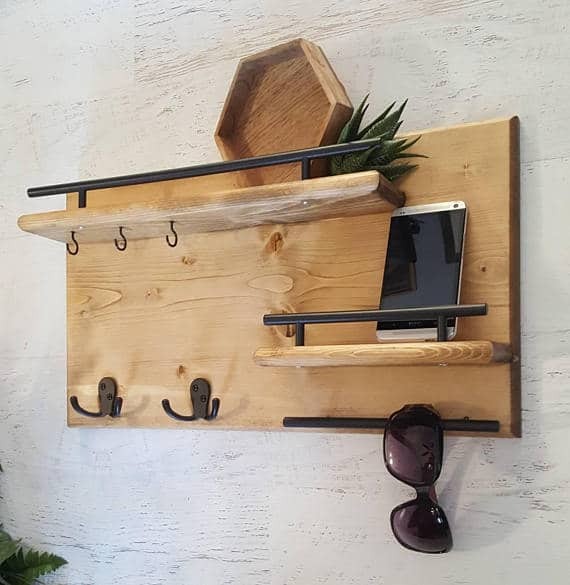 A phone holder can be used in the kitchen when you are cooking or another place like a desk where you need to be able to see it while doing something else. 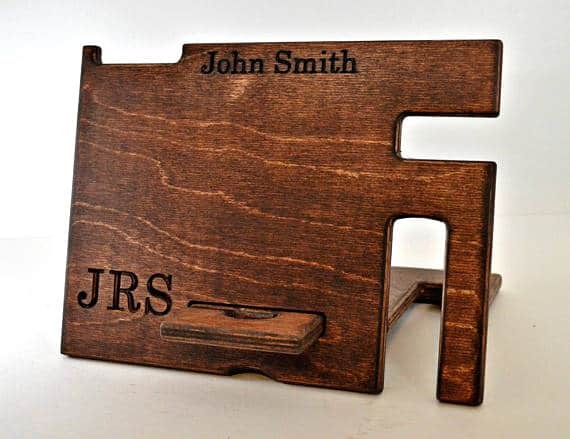 It doesn’t necessarily have to be a phone holder, but could hold a tablet instead. You can add different spaces and trays to make it unique. There are a few different styles of this product on Etsy, so browse around some and come up with something useful. It seems like a serving tray is usually used to adorn a dining table in the middle with some a centerpiece. There is nothing wrong with this, but you should keep that in mind when designing one. 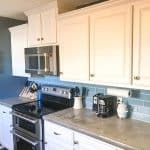 You could go with this weathered paint look or something more classic like a finished oak. 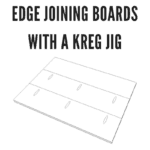 Plus there is no limit to the types of shapes that you could do with this. 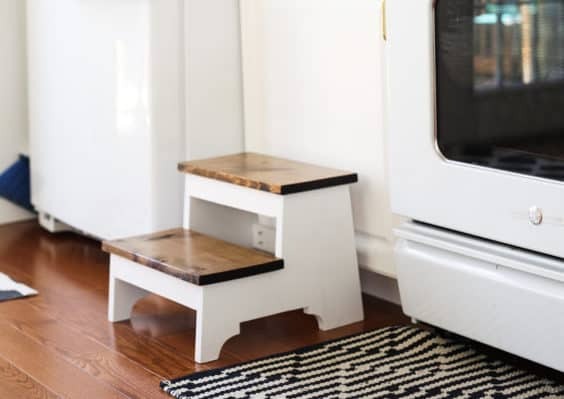 The types of step stools on Etsy are usually used for one of two purposes. 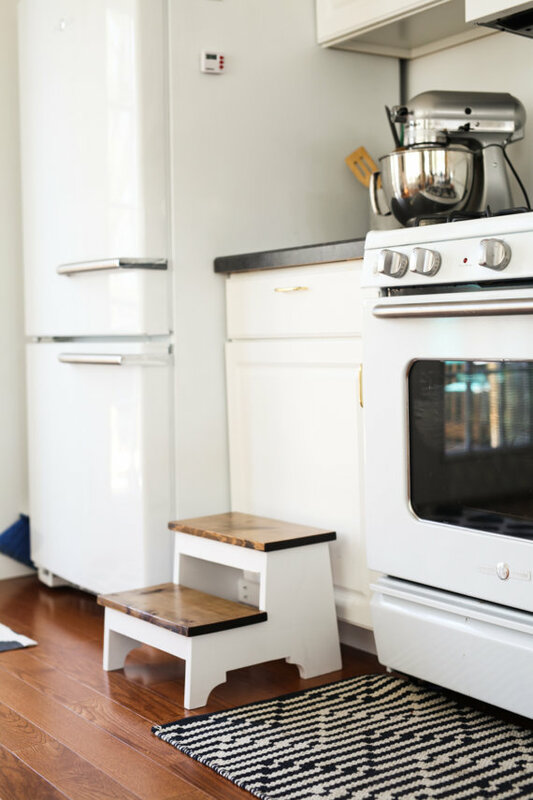 There are kid step stools and adult ones for something like using in the kitchen. The kid step stools are generally for in the bathroom to help them reach the sink. I think this is a neat product to try and build because it is so functional. 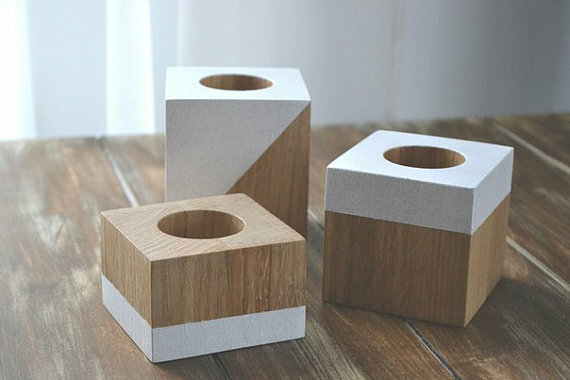 Of course some step stools are just one step instead of two like this one. It is up to you how to do it. If you are real industrious you can make a couple variations and sell each one of them. 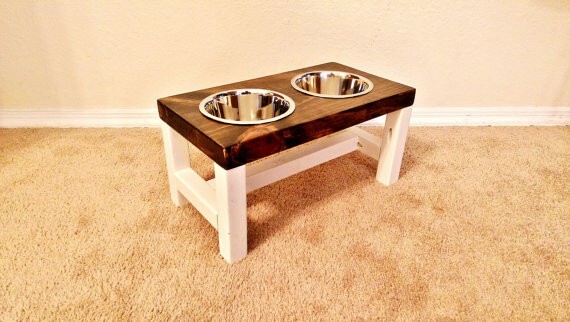 A pet bowl stand is a pretty simple idea and it lends itself to a beginner style. But it is not too common to find a high quality wood design in a pet store. Even this product is a simplistic design. You can even see the pocket holes in the framework and legs. 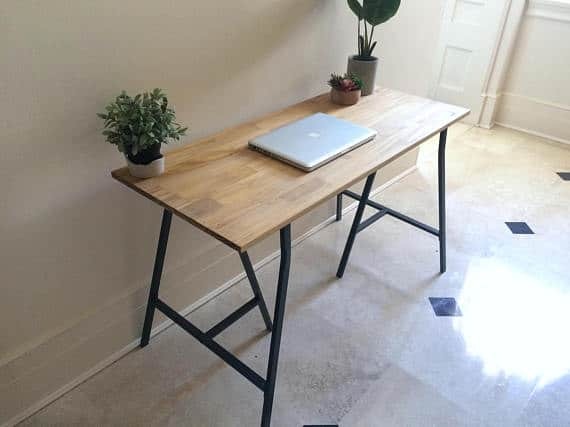 They chose a nice top and made it functional and sturdy. Some of the soap dishes available are too advanced for a beginner woodworker to make. They are probably using some type of machine to make them. Now that does not mean that it is low quality. These are nice soap dishes. You can make one too with a little practice and determination. Storage creates are popular for decorating or actually using to store stuff in. Either way, they can be a popular item if done right. 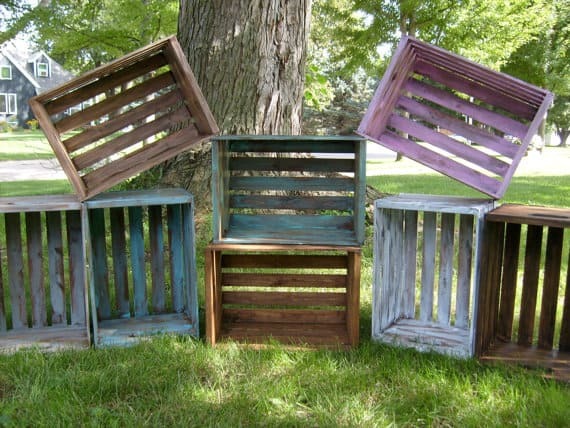 These crates are attractive and useful for a number of different purposes. Although they may not sell a ton, it is something you could always add to your shop to have a good inventory of products. I’m going to use the broad category of furniture for this section. The reason is that I want to show you some more advanced stuff if you are ready to do so. These are still products that you can make and sell, but they will require some more practice and probably more advanced tools. It can take a pretty big workshop to make some of these at such a high quality. 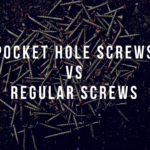 One advantage with some of the previous categories is that they are smaller and easier to handle. It is much harder to build something large and deal with shipping and packaging as well. But because of these barriers to production, there will be less competition. You will have a better opportunity to stand out. So keep this in mind when trying to build out your store on Etsy. One thing that is important for anyone trying to sell things online is how will your product stand out and get attention? What is unique about your piece that would warrant someone choosing it over something else? There are ways that you can get that advantage and make the sale. I will talk about some here. This list is definitely not exhaustive. When making a product you should integrate features into it that can be customized and chosen by the customer at checkout. 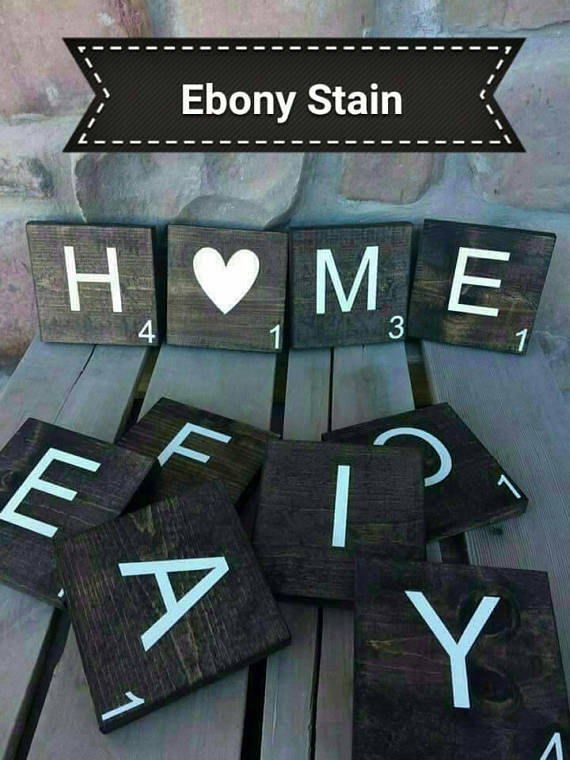 For example, you can have 10 different paint or stain options for your wood. Or different size options. These are basic customizations and a lot of people expect this type of stuff now, especially on Etsy. Other types of customization can include adding a shelf here, cutting a slot there, etc. This can be the case with large pieces especially because you will need to make it to certain specifications. Personalization is a great way to gain an edge on the competition. I don’t expect you to own a laser engraving machine, but it is something to consider. This is a great option to give people because customization like this is really popular right now. 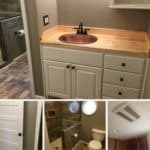 Reclaimed wood has been popular for a while now, and that trend looks to continue. This is the type of thing that isn’t really sustainable in the long run, but you can take advantage of it if you have it. 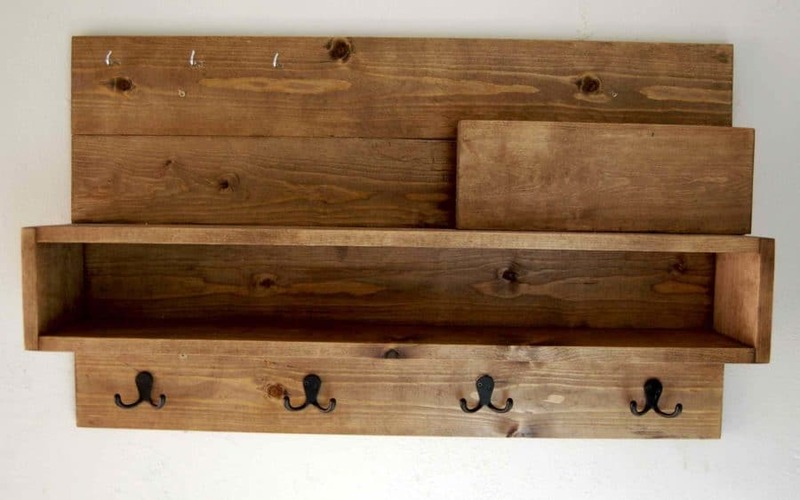 If you can get your hands on some reclaimed lumber then try to incorporate it into a product. 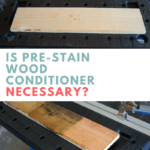 It will help the value and draw more attention than if you were simply using a new piece of wood. Take advantage of your opportunities on Etsy. It is a great marketplace. It would also be worthwhile to see about opening up stores elsewhere, such as on Amazon and on your own website. For a full service ecommerce business I think it is smart to pursue all avenues of selling. So keep that in mind when planning a true business. If you simply want to create a side income or just like to build things and sell them, then go ahead and open up a shop on Etsy. It is fun and exciting. Also, go ahead and start your own blog to go along with it. Take some of the ideas here and make something even better. For more woodworking tips and ideas, go to my get started page and my beginners woodworking ideas post. Great suggestion, I will make use of your ideas. Thank you! These are so very good suggestions…actually a few I hadn’t thought of and I am well versed in the selling end of things. I appreciate it! Thanks Shirley, if you have some ideas feel free to share them! My wife and I had a store on Etsy for a couple of years. We mainly made wooden letters. It got too much for me because I didn’t have a shop per say. The shipping is tough. My question would be “ How can I keep the shipping cost Down”. Shipping costs can certainly be an issue, especially on Etsy where the competition can be operating on razor thin margins. I think you have to price the shipping into the product price to give yourself a chance at making a profit. Not sure there is a good way to keep the costs down except by using economy shipping and keeping weight low. Bundling products could help in this area. Offer incentives to buy larger quantities so that the shipping cost per item will decrease. 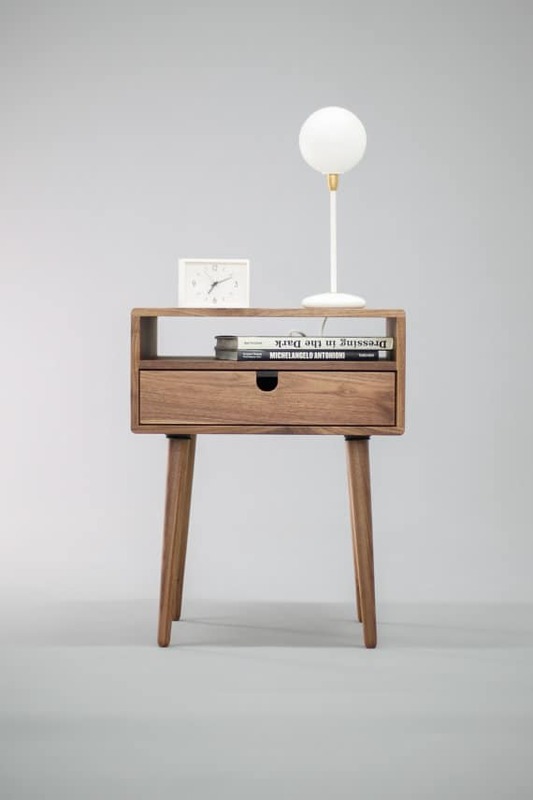 Fascinating items with so much practicality to them! I can easily see how they can be used on a daily basis and add more comfort to everyday living. Absolutely love your furniture here too. It doesn’t even look handcrafted, because it is made to perfection. Great work on these beautiful projects! I love wood as a natural material, because it is so versatile for crafting anything you want. I’ve been making unique walking sticks and canes out of what nature supplies. So, my question is where do I sign up? I have made and sold several different items made from reclaimed wood. I also do custom work with reclaimed wood. I am curious about shipping. I have sold things only locally, I deliver myself. What about shipping to online customers. Isn’t it cost prohibitive? Shipping can be costly for large items like furniture. Some customers will be willing to pay the shipping, and for the ones that aren’t, well you can’t do anything about that. The main thing is you have to test it; you may be surprised what works and what doesn’t. 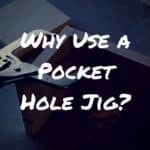 Why Use a Pocket Hole Jig? IndustryDIY.com is a participant in the Amazon Services LLC Associates Program, an affiliate advertising program designed to provide a means for sites to earn advertising fees by advertising and linking to Amazon.com.